This is one of the most visually direct drawings in the “Living Machine” series. As with other works in this series, this drawing explores themes of mimetic evolution, Lamarckian evolution and self-construction. 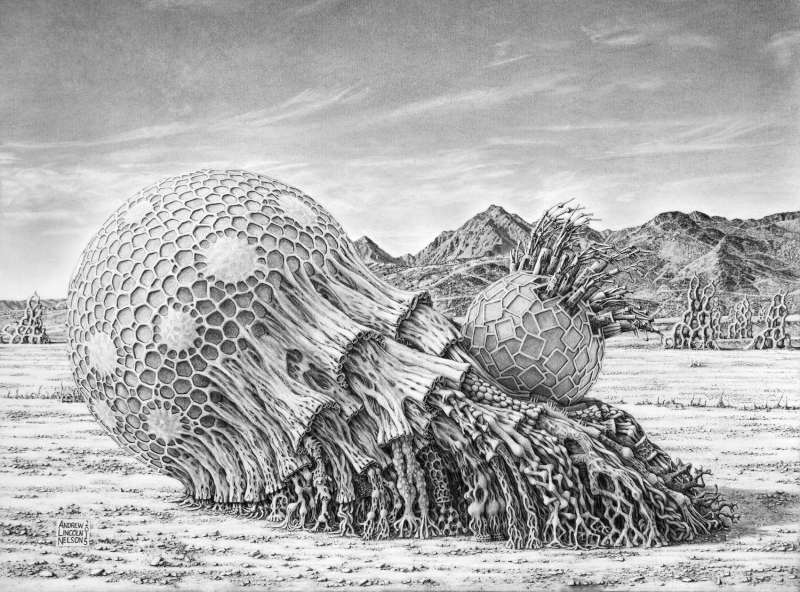 A large organic spheroid creature (a “Plantimal”) mimics the form of a smaller more machine-like creature which it is carrying. The background is taken largely from a view of low mountains north of Interstate 8 near the Arizona-California border.